At Mahajan Field Firing Range, Bikaner, the 12-day long joint military exercise between India and the United States began on 19th November, 2018. Known as ‘Vajra Prahar’, it is Army’s Indo-US Joint Special Forces Exercise 2018. For this exercise, a contingent of the United States Pacific Commander arrived at Mahajan Field Firing Ranges. Know more. As per Rajasthan officials, this US contingent comprises of one officer and 10 other ranks. During this 12-day exercise, the US Special Forces along with Indian Special Forces carry out rigorous joint training in semi-desert and rural terrain. This training is meant to deal with operations for counter-terrorism. This operation helps in enhancing the interoperability of the two armed forces as well as military to military co-operation. 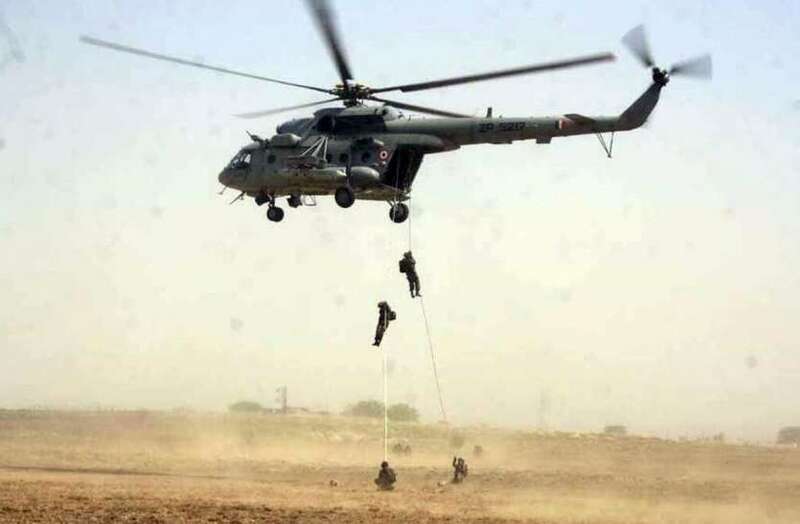 In this training, the contingents will be trained on different aspects including hostage rescue, building intervention, desert survival, medical aid and combat firing. This training will conclude on 2nd December. A three-day outdoor exercise will also be undertaken by Special Forces to validate their practices. Mahajan Field Firing Range (MFFR) is the army’s oldest and biggest practice area in the desert close to the Pakistan border. It has been as been developed into a model range based on army’s experiences.